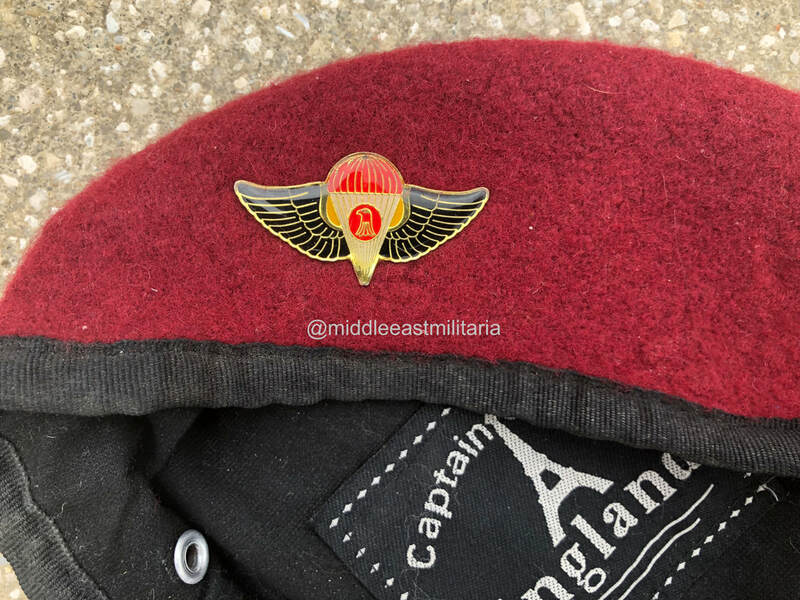 The Iraqi beret eagles are in the form of Iraq's Coat of Arms. 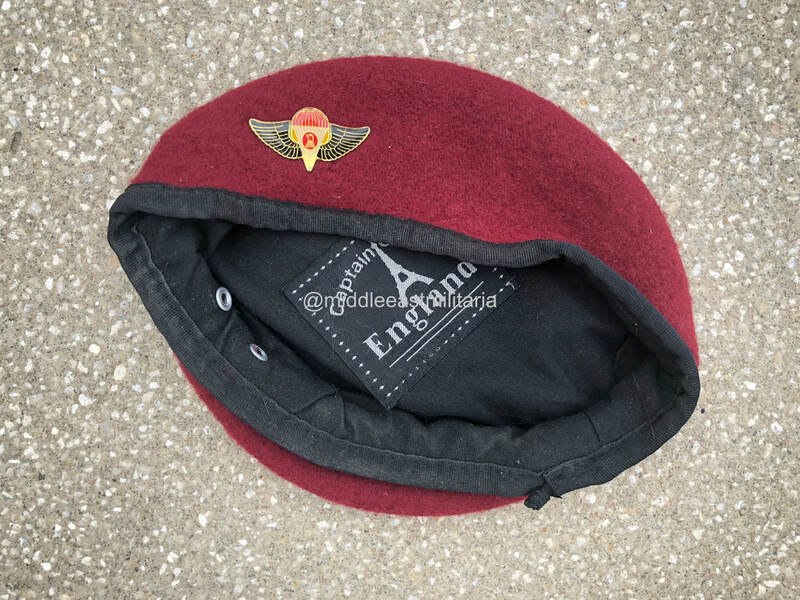 When the coat of arms changed, so did the beret insignia, but it is not uncommon for Pre 1991 beret eagles to be worn during OIF. 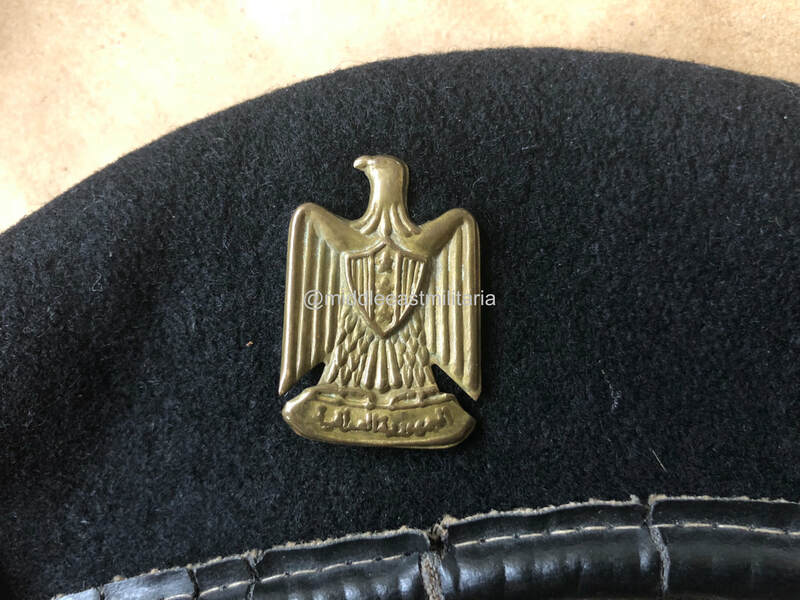 ​Iraqi beret eagles come in 2 main manufacturing types: Solid and stamped. Solid eagles have a solid, flat back to them, while stamped ones have the eagle imprint on the rear. ​Officer eagles are of higher quality, although both officers and enlisted men wore the eagles with the colored shield. Pre-1991 eagles have the 3 stars of the Iraqi flag going vertically down the shield inside the eagle. They have no Arabic script between the stars and are of superior quality. The eagles come in a plethora of different materials. Some are enameled, chromed, or have color. Pre-1991 Eagle: This particular eagle is facing right instead of left, likely meaning it was originally from a collar tab or shoulder board. It is also silver colored for use by the Iraqi Police. Pre-1991 Eagle: ​This eagle is gilt colored and has the stamped backing. It is of very good quality. After the Gulf War in 1991, the eagle changed with the introduction of a new Iraqi flag. The stars on the shield now go horizontally, with most having "God is Great" written between them. After OIF in 2003, they stopped being produced. They are of far lesser quality because during this time, Iraq was under sanctions. With the adoption of a new Iraqi Flag in 2008, the beret eagle changed once more. Now, the phrase "God is Great" written in Kufic script is present in the center of the shield without the 3 stars. This is the eagle version in use today. They are of very good quality unlike those made during the sanction period in the Saddam era. Post 1990 Eagle: This version has the 3 stars going horizontally on the shield, but does not have "God is Great" between them, hinting that it was made either in 1991 or very shortly after. This particular eagle is of very bad quality because it was made when sanctions were placed on Iraq. Post 1990 Eagle: Another version of the terrible quality sanction made eagle, this time with "God is Great" between the horizontally positioned stars. This was an OIF bringback from an Iraqi Republican Guard officer. 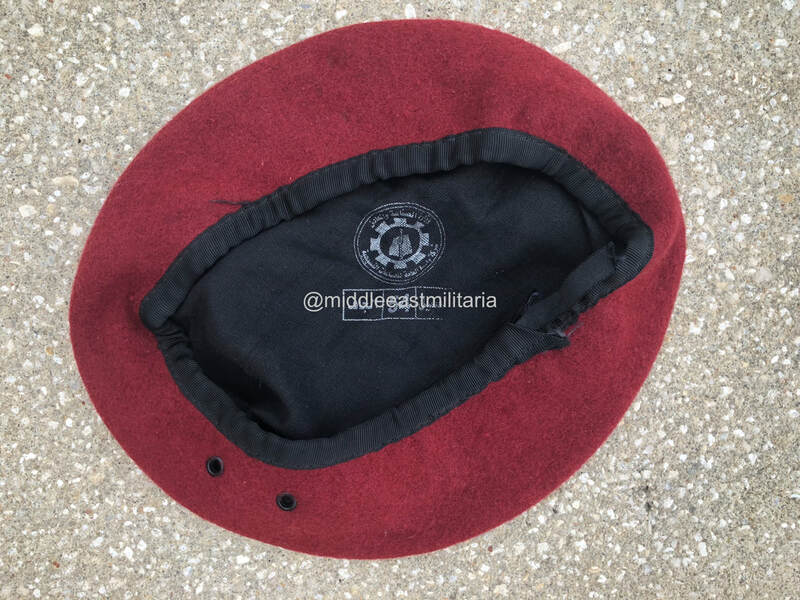 2008 - Present Eagle: This is one of the current beret eagles worn by the Iraqi Forces. Most of the new eagles are enameled like this one. 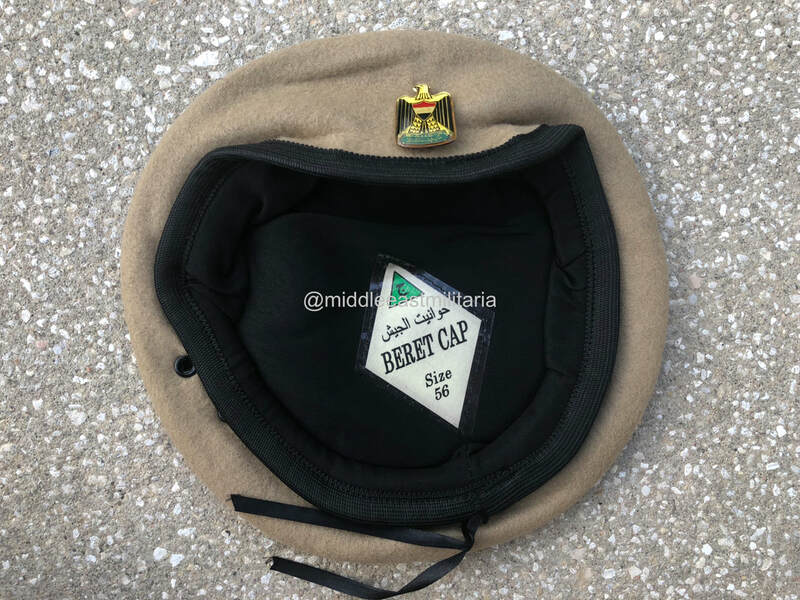 During the Saddam Era, berets played a bigger role with the Iraqi Forces than after 2003, meaning more beret variations. 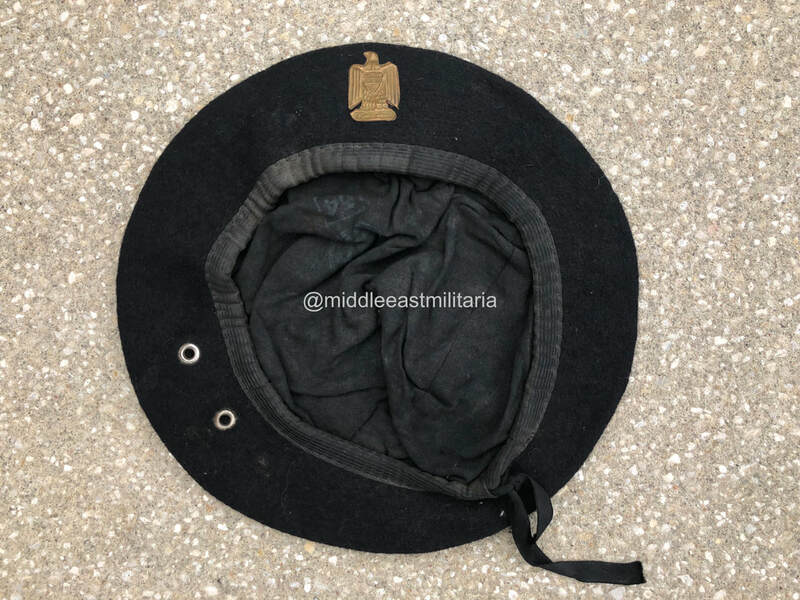 This sub section will go over beret maker marks and color differences of Saddam Era berets. Iraqi jump wings ( 1980's - Present): Worn by Special Forces and individuals who had earned their jump wings. Presently, they are worn alongside the new design. 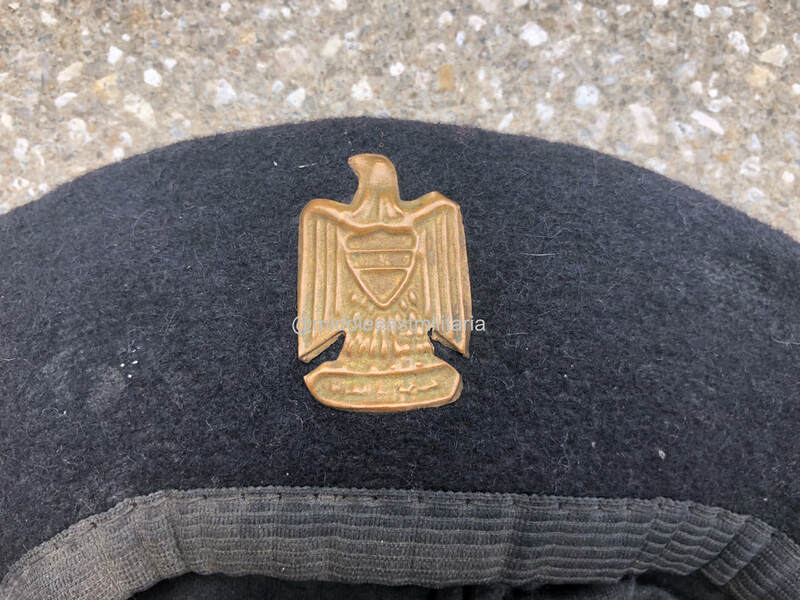 Special Forces Beret Wing (1980's - Present): These were worn by Special Forces personnel during the Saddam period and come in a few different colors. They are still worn today, but are slightly different. The Saddam era ones have a safety pin like fastener on the rear. 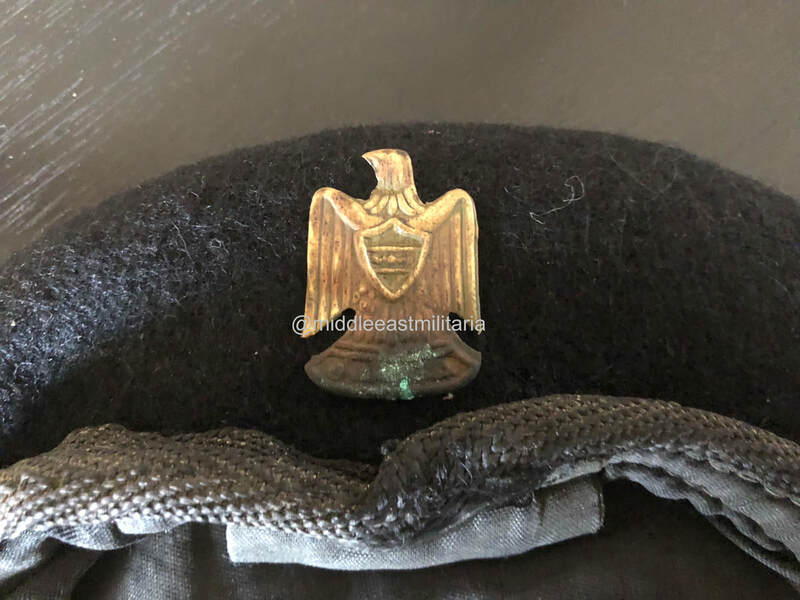 Iraqi Police Beret insignia: The one in the photo is a post Saddam badge, but the Saddam era ones have the same design. Wassit Company (Iraqi Made): An Iraqi company. They were the last company to produce Saddam era berets. Made Post 1991 and Pre OIF. 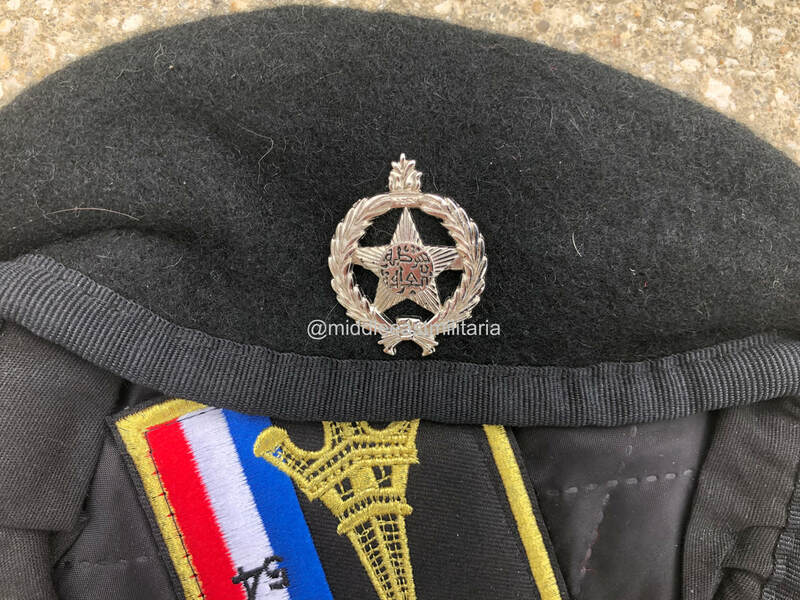 French Made: Berets with this stamp, an Iraqi Jihm stamp over a square containing the beret size, were exported to Iraq by a French company pre 1991. 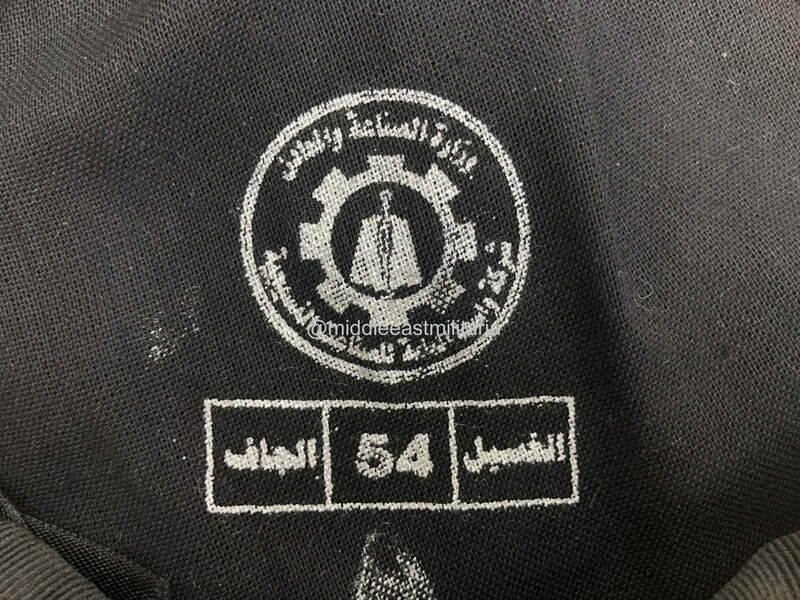 Wassit Company (Iraqi made): Another variant of the Wassit logo that translates to "Ministry of Industry and Minerals, Wassit Company for Industry". These were made Post 1991 and Pre OIF. 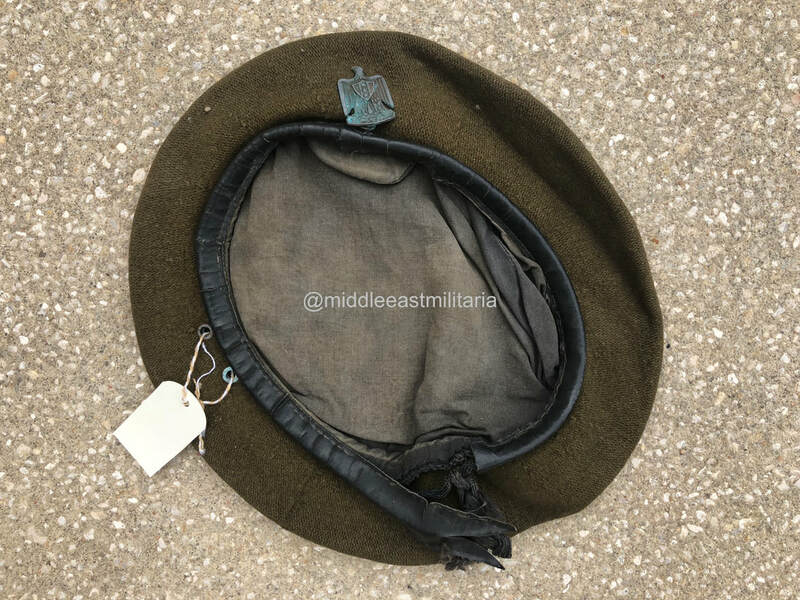 After the fall of Saddam, the New Iraqi Army continued to wear berets, but not to the scale as in the Saddam period where they wore them in combat. Now, they are normally worn for garrison and dress wear. While in the field, a kevlar helmet or baseball/soft cap is worn instead. Remember, the Iraqi army is not as organized as other military forces, so you will observe other branches seemingly wearing the wrong color, especially within the regular Iraqi army. 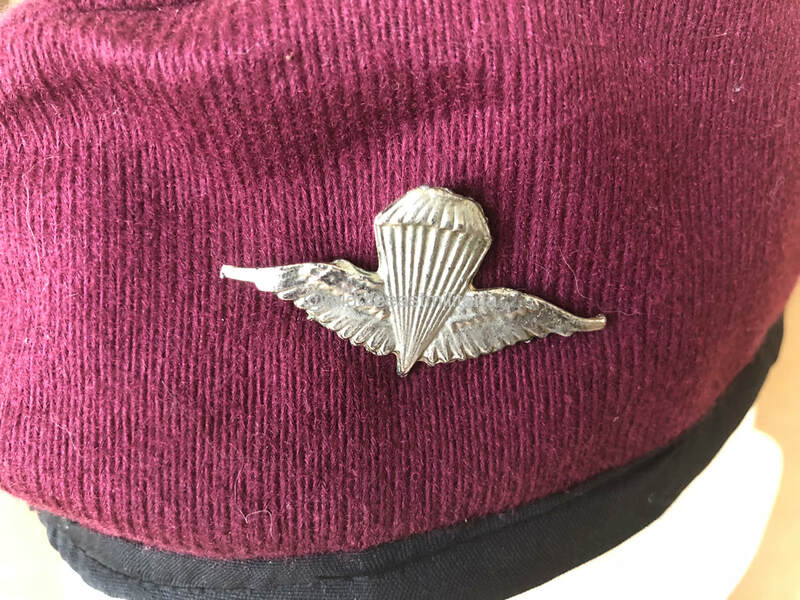 Also worn by individuals who have earned their jump wings. Green: Worn by Commando troops. Commando troops refers to the specialized units within each Iraqi Army brigade, not to be confused with the ISOF or ICTS as these are their own separate units. Black: Iraqi Federal/Regular Police, and Infantry. Iraqi Special Forces Wings (Post 2003): Worn by Special Forces and other specialized units. It is also worn by individuals who have earned their jump wings that are not in those units. This version is worn by both enlisted personnel and officers, while the other jump wing to the right is usually worn by officers. 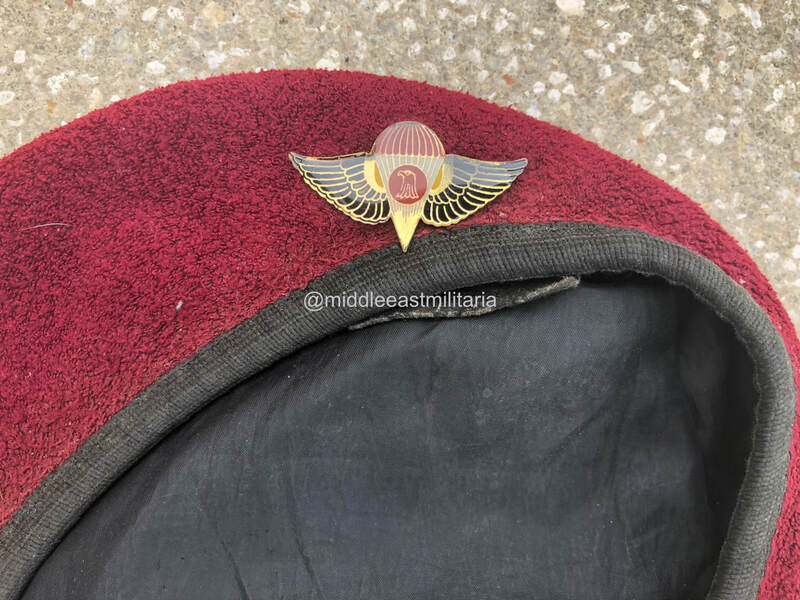 Iraqi Jump Wings (Post 2003): Although worn during the Saddam period, they are still worn today alongside the Special Forces Wing pictured on the left. It appears that the individuals who wear these are largely officers, while enlisted personnel mostly wear the other version. 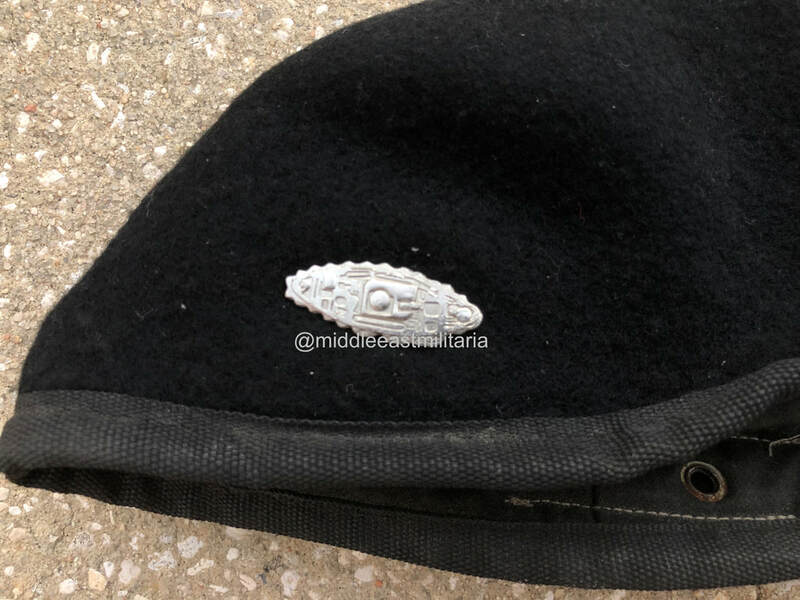 Iraqi Police badge: Worn by both the regular and Federal Police. 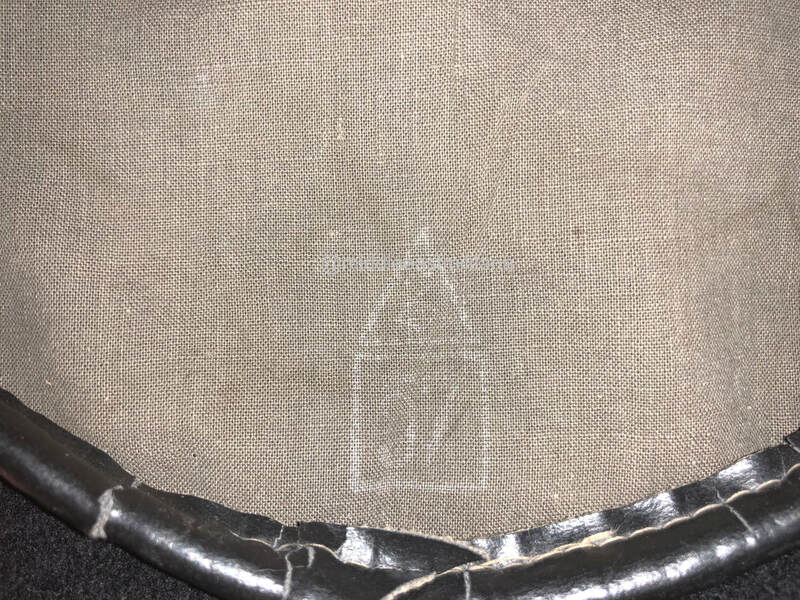 An unknown post Saddam beret manufacturer marking. 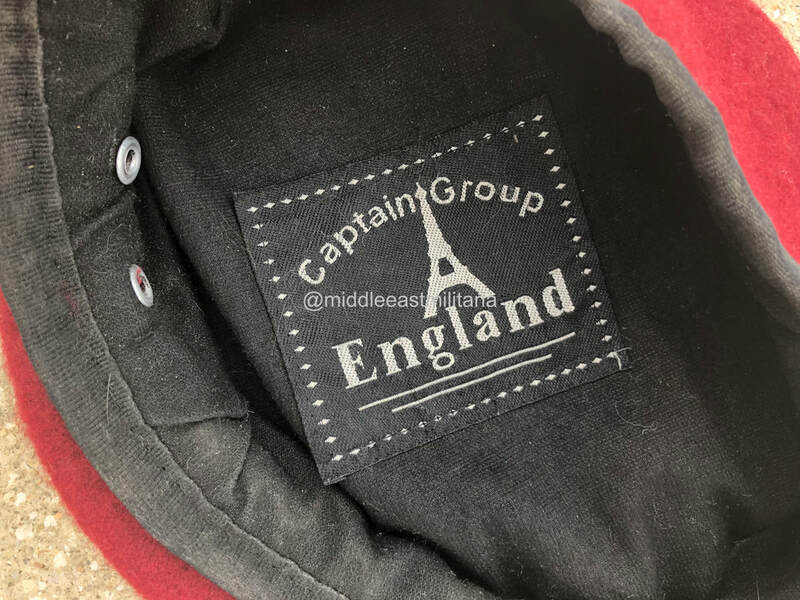 It could be British made, but seeing that the Eiffel Tower is present on the logo, it could also be a Chinese imitation. 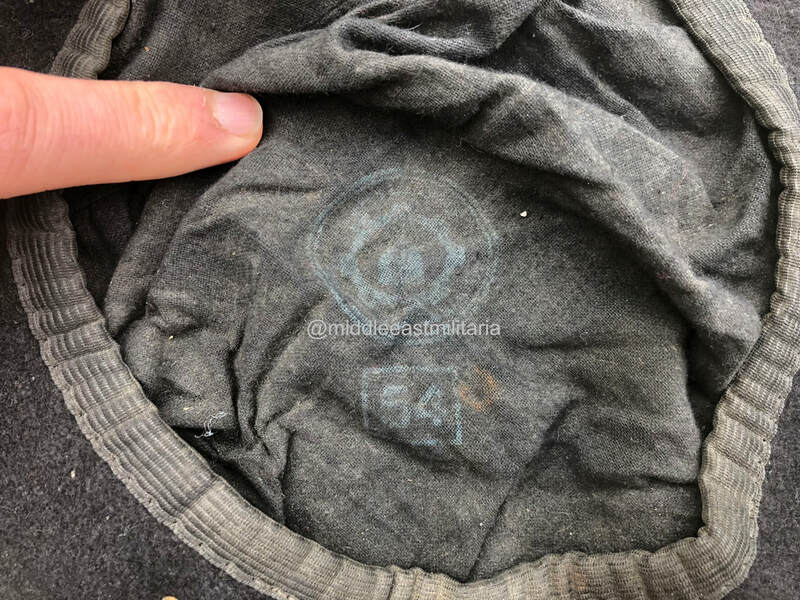 This is on a maroon Special Forces beret brought back in 2008. It is of high quality. 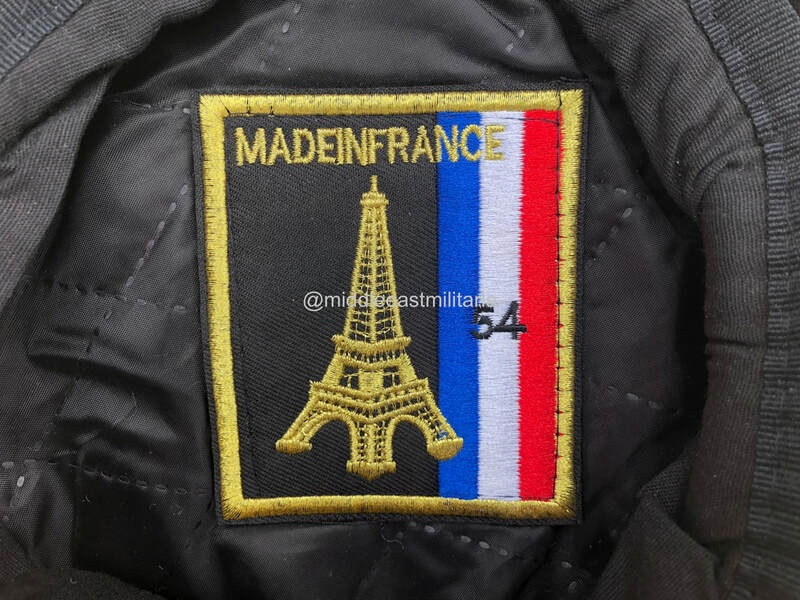 Although it has a jihm stamp on the tag, this beret maker is not Saddam era. This was done by vendors in Iraq after 2003 to command higher prices when being sold. 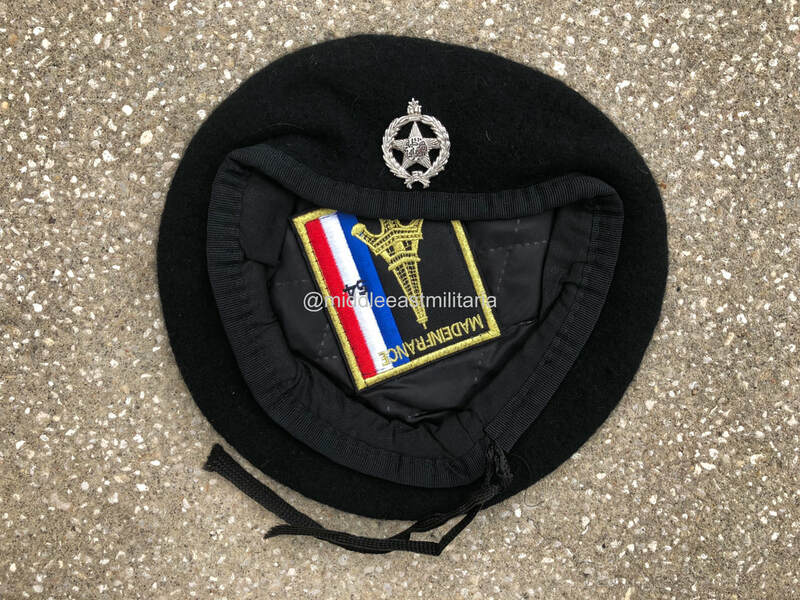 Another unknown beret manufacturer seen on post Saddam berets. The label hints it could be French made, but it could also be Chinese as they are known to imitate labels. 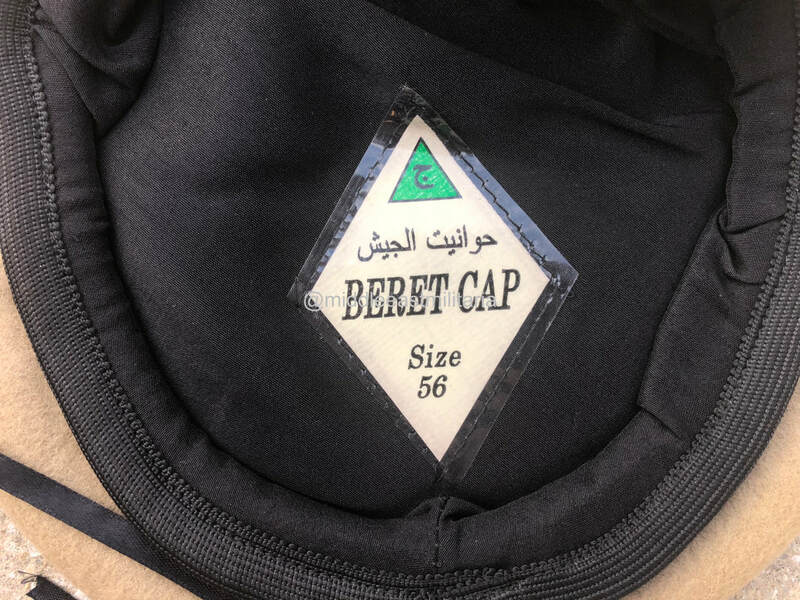 This label has been observed on berets from the War on ISIS period.